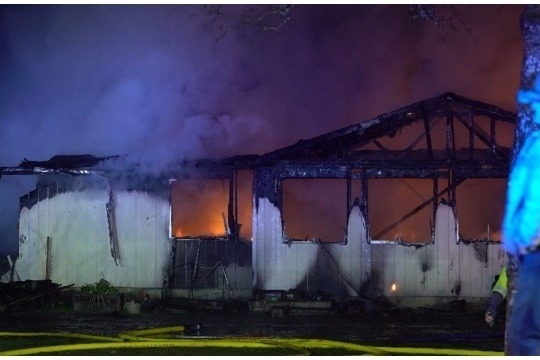 Our family has recently experienced a Devastating house fire in the early morning of Friday, March 15th, 2019. The house and all of its contents are a total loss, but that is not all the Fire took that night. Our beautiful Grandma June, and our beloved 8 year old dog Lucy didn't make it out of the house. 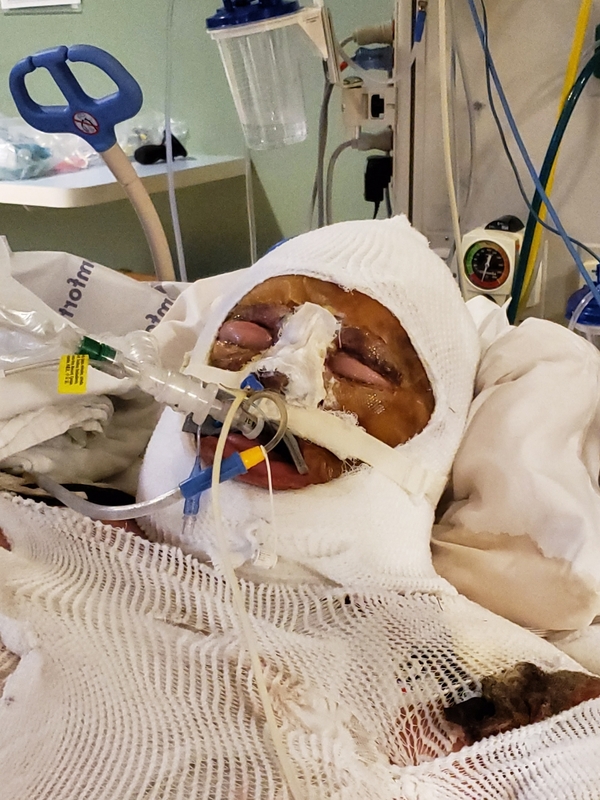 June's son Bob went back in the house to save her, he was found a few feet inside the front door and pulled to safety, unconscious and severely burned by his son. Bob's injuries are severe, he's burned on 27% of his body, his hands are "gloved" no skin left, his lungs filled with soot and also burned. He's in critical condition in ICU at the Burn Center in an induced coma, he is very sick, but he is fighting! He has a very long and difficult recovery ahead of him. Donations from this fundraiser will go directly in an account that has been set up for Bob by his Sister-in-law Toni. these are a week old of Bob but I'll post more after we see him tomorrow. Bob is still in an induced coma in ICU his condition is improving but still critical, not out of the woods yet. He has had several surgeries so far, skin grafting on his back, chest, arm, and stomach. 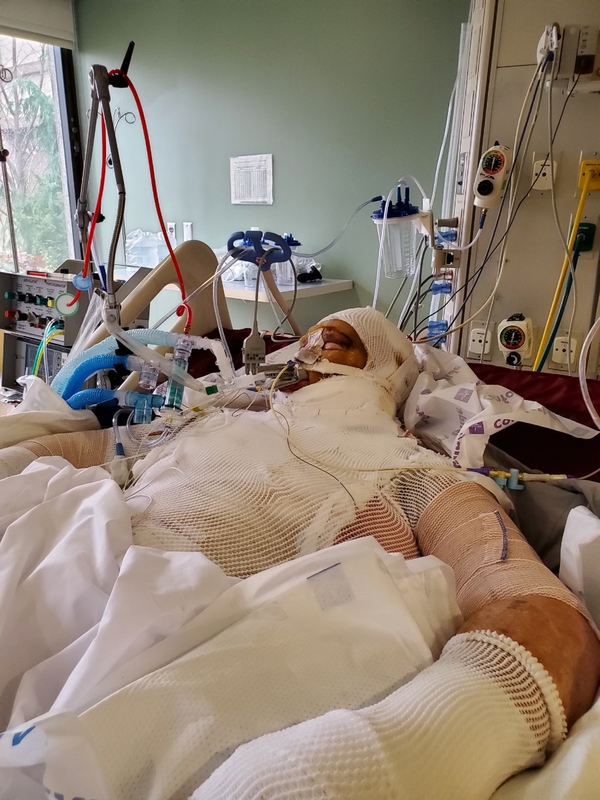 He had skin graft on his left side today, another surgery is scheduled for Monday it will be the first surgery on his hands which are Gloved (badly burned)to skin graft. He has a trach now and seems to be doing ok with a normal ventilator, he hasn't needed any blood pressure medication which is good. He has many more skin graft surgeries to come. Lungs are improving. Dr.'s are slightly optimistic now. I still can't believe this has happened! it all seems surreal still. We can't wait until he wakes up and hear his voice and hug him! Bob had surgery today to clean out the dead skin and had some skin grafting on his back today. he's still critical and in an induced coma but holding on. He is still in critical condition. Making small improvements. Due to his injuries, he will be in ICU for at least 30 days.